Redbooth’s HD video conferencing lets you connect with your team instantly. 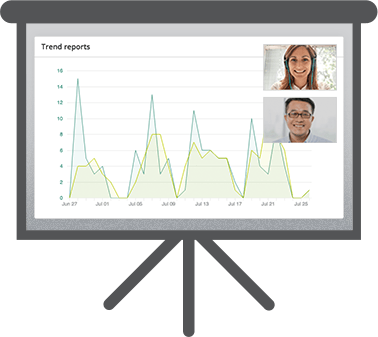 Schedule recurring meetings or or jump on a video conference at a moment’s notice, even from your mobile device. Wherever your colleagues are, Redbooth makes it feel like you’re there with them. Your team doesn’t have to be in the same room for everyone to be on the same page. Whether you’re presenting a report, pitching a new client, or training your staff, you can share your screen in just two clicks to easily show what you’re talking about. Annotate your screen in real time — even record your screen and share it later. Tired of complicated video conferencing systems you’re not alone. 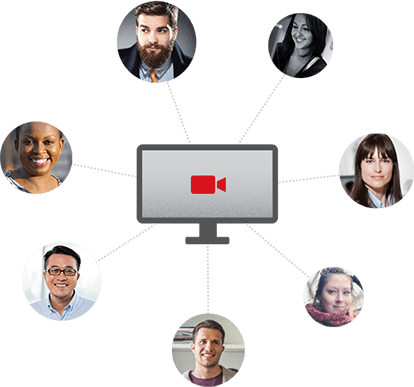 With Redbooth HD Meetings, you get a fully-integrated video conferencing system, so you can skip the hassle that comes with most video conferencing tools. Instead, easily schedule face-to-face conference calls in Redbooth— even sync them with your Outlook or Google calendars. Need to give a presentation to a large group of people? Now you can. Up to 25 screens can participate in a video conference all at once. 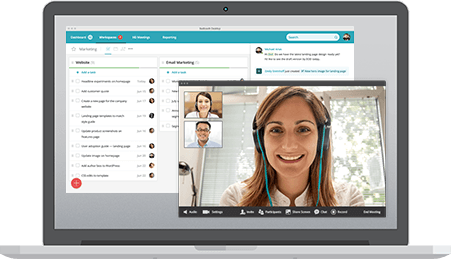 Eliminate separate video conferencing tools like Skype, GoToMeeting, or similar products that you currently use to connect your remote teams. Some Redbooth customers find that the platform pays for itself! Switching between multiple apps for collaboration drains focus and keeps peak productivity out of reach. Reduce distractions and take back time, focus, and productivity by switching to a platform that lets you have it all and do it all…all in one place. With online meetings, there is no limit to your network. Now you can hire and do business on a global scale. Instantly share your screen and even annotate your presentation in real time. Whether you’re meeting with a colleague with a Redbooth account or a client without one, you all can access the meeting from the same link. Collaborate within one streamlined platform. With Redbooth you also get task management, project management, business chat, and more. 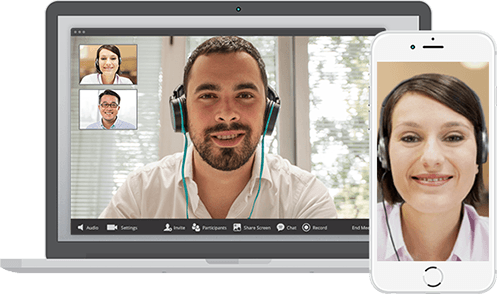 Experience face-to-face HD video conferences that are visually optimized to actually feel face-to-face. Large audiences are no longer a problem. Up to 25 screens can join an HD video conference call.